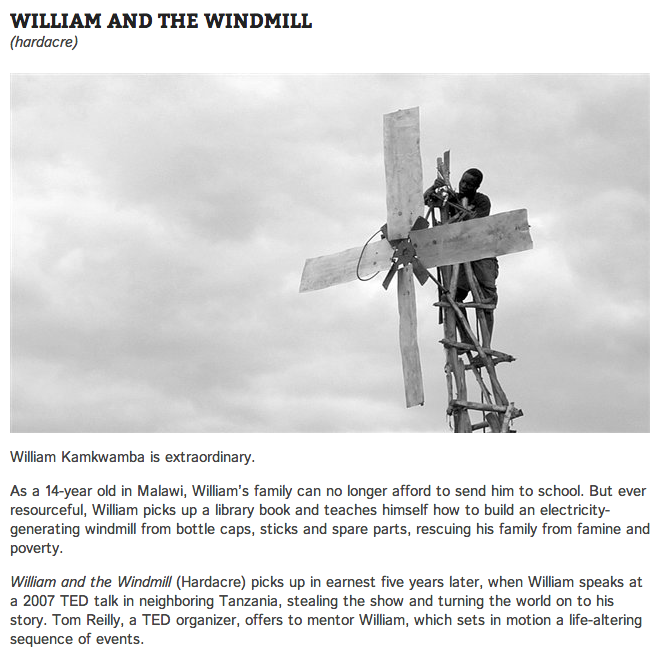 Director Ben Nabors’ acknowledges William’s mind-boggling success without becoming precious, guiding William and the Windmill as an earnest and moving portrayal of the complexities of modern celebrity. Putting aside the easy western narrative of unlikely hero, Nabors focuses on the complications of new-found fame and a world suddenly without boundaries. Where the doc begins with William creating an engineering marvel from next to nothing, it ends with William himself as the project—his hometown, an Ivy league school and dozens of well-meaning Westerners invested in constructing his future.